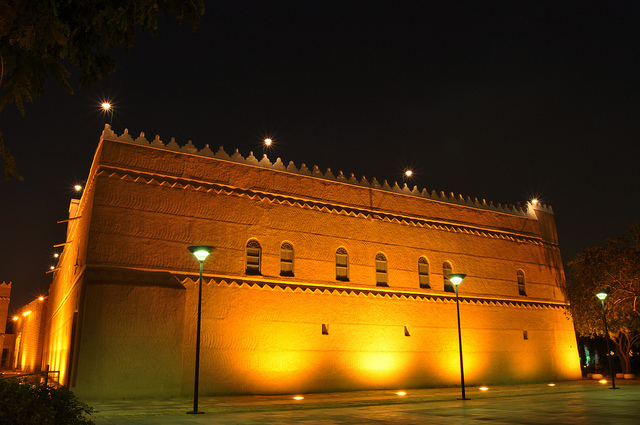 The Masmak is a clay and mud-brick fort, with four watch towers and thick walls, founded on stone blocks, lying in the center of Riyadh, This building played a major part in the kingdom's history, as it was here that the recapture of Riyadh, led by Ibn Saud occurred. This building was built around 1895 and today the fort is one among several buildings that form the King Abd al-Aziz Historical Centre. The building received some important renovation in the 1980s, and became a museum in 1995. The museum includes a display on many antique guns, costumes and agriculture artifacts. Morning: 8:00 am to 2:30 pm. Evening: 4:00 pm to 9:00 pm. 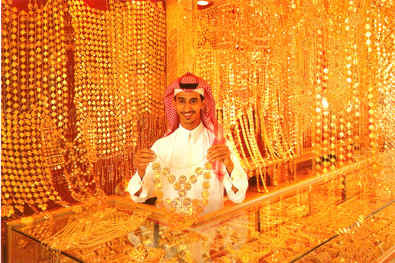 Just within the area of Masmak fort, you can find one of the famous gold souk in Riyadh. The Thumeiri Gold Souq. They have white gold, yellow gold, silver etc. They do engraving & re-setting of jewelry. White gold per gram is 85SR while the price of yellow gold is less. Also, the place is famous for selling wholesale items like carpets, thobe, undergarments etc. Along the small alleys, insense, oud & spices like cardammon, saffron, etc are being sold. The largest zoo in Saudi Arabia, Riyadh Zoo is the best entertainment zone for kids on a tour of Saudi Arabia. 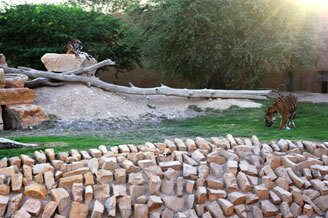 Located in the capital city of Riyadh, this zoo is spread over 55 acres of land. One of the most-visited attractions of Saudi Arabia, this zoo was set up in the year 1957. Initially it was a small-scale zoo that housed animals gifted to members of the ruling clan of Saudi Arabia. In 1987, Riyadh Zoo was refurbished and opened to the public. With more than 1,300 animals present in the Riyadh Zoo, it has become a must-visit for tourists of all ages. One favorite activity of Saudis and Westerners living in or visiting the Kingdom is to head out of town a few miles and into the desert surrounding the city. Assuming you have a 4x4, which is really a necessity for these adventures, you've got a lot of space to play in. you've got a lot of space to play in and People often have evening barbecues. The Saudi desert is best by night when the stars come out, there is only a faint, distant glow from the lights of Riyadh on the eastern horizon, and a million stars come out. Driving in the desert is not without its dangers. The first rule is never to strike out on your own. Make sure someone knows where you're planning to go and when you're expecting to return. People do get lost; vehicles do stall in the middle of nowhere; and people do die of heat prostration if they're not careful. It's also unwise to pursue desert trips in the summer, when temperatures reach astronomical levels in the daytime. However, the winters are perfect for it, if a little cold after the sun goes down. The National Museum of Riyadh is a landmark structure in the skyline of Saudi Arabia. Established as an ode to the country's educational and cultural development, the National Museum gives an insight into the history of Saudi Arabia. Located in the beautiful city of Riyadh, one of the most popular tourist destinations in Saudi Arabia, the National Museum is spread over 17,000 meters of land close to the King Abdul Aziz Historic Center. Inside the National Museum, Riyadh, you can find a captivating display of Saudi Arabia's culture in its past and present forms. There are different types of antiques, manuscripts, documents and display boards that showcase an erstwhile era. 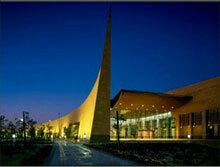 There are as many as eight exhibition halls in the National Museum at Riyadh, Saudi Arabia. These halls cover the following themes - Man and Universe, The Arabian Kingdoms, The Pre-Islamic Era, Prophet Mohammad's Mission, Islam and the Arab Peninsula, The First and Second Saudi State, The Unification of the Kingdom, The Hajj and Two Holy Mosques. The uniqueness of every hall at National Museum, Saudi Arabia lies in the fact that they are independent and opulent in their respective presentations. All stages of evolution of the Saudi Arabian kingdom and Islam have been magnificently displayed here. Various lectures and workshops are held at the National Museum, Riyadh on a frequent basis. The museum also comes out with newsletters and booklets that give information on events and exhibitions held here. This place offers a number of facilities for its visitors. National Museum, Riyadh is open from 9 am to 12 pm, and from 4:30 pm to 9:30 pm on all days of the week. 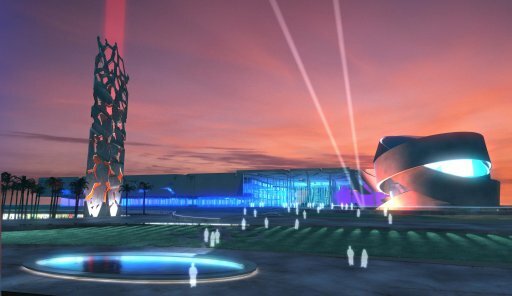 Prince Salman Science Oasis (PSSO) is a non-profit organization charged with developing an interactive science center. Through the science center, and associated activities PSSO aims to improve public awareness of science, and to promote scientific knowledge and its practical application for peace and benefit of mankind as a whole. This museum is in association with the Ministry of Defense and Aviation. The museum follows the development of the Saudi Forces. It displays everything from weapons to military uniforms designed especially for college students. You need to be an official visitor, affiliated to the Administration of the Military College, to get a peek into this museum. 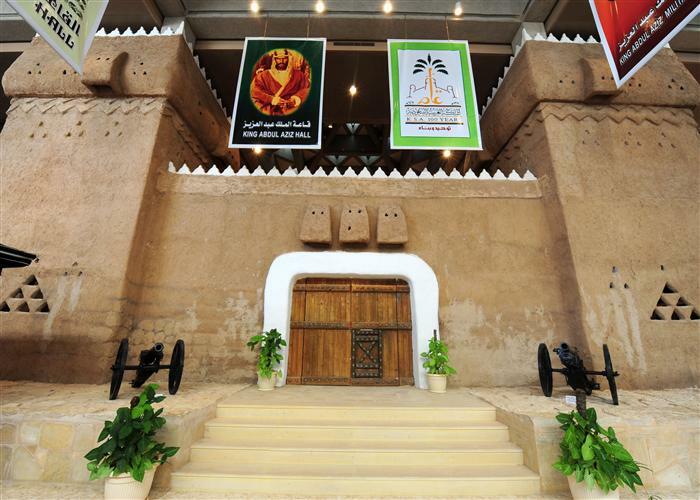 One of the Historical Museums that are affiliated to King Abdulaziz Darat. Founded by King Abdulaziz outside the walls of old Riyadh for his private accommodation and to his works in the evenings. Palace consists of two storiesو Ground Floor: Composed of a room for the guards, store for making coffee, and stores for foodstuffs, wood, and supplies needed for cooking. Upper Floor: Composed of reception Saloons which are main reception hall, waiting room for visitors, private reception room in addition to political department offices and office for communications and telegrams.